The Ginger Snap Girl: Online Bake Sale! I recently met Gerry through participating in the Secret Recipe Club. He has a great blog, Foodness Gracious that I enjoy following. Gerry's daughter Miranda has Type 1 diabetes and he is hosting an online bake sale that begins today to raise money for Team Miranda and the Juvenile Diabetes Research Foundation (JDRF). His daughter was diagnosed with diabetes at age 3 and every year his family participates in a 5K walk to support JDRF. This cause is close to my heart because my beautiful niece was also diagnosed with Type 1 at age 3, nearly 10 years ago. When I heard Gerry was holding an online bake sale I knew I wanted to help support this cause! I know a lot of you that read this blog are fellow food bloggers. This bake sale is a great way to get someone else to bake for you for a change! So treat yourself to something yummy while supporting a great cause! 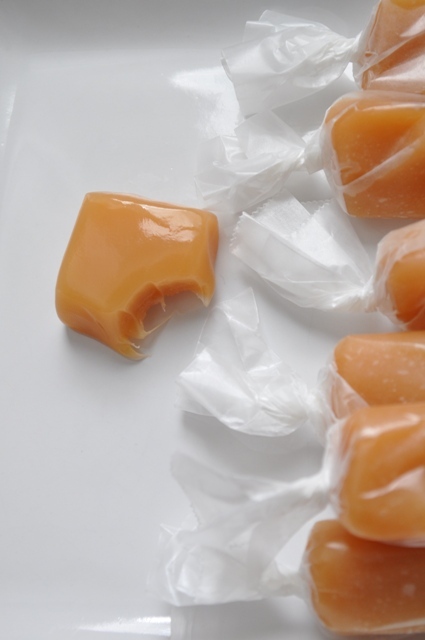 I am donating Honey Cream Caramels. If you would like to bid stop by Foodness Gracious. Go Team Miranda! What a great idea! Thank you for sharing. What a great cause. Your caramels look wonderful!